The above-ground world that we can see is only a small part of what’s actually there. In cities around the world, subterranean passageways, hidden histories and underground complexes crisscross beneath the surface. There is a thriving underground world that the average person never gets to see…unless that person knows where to look. 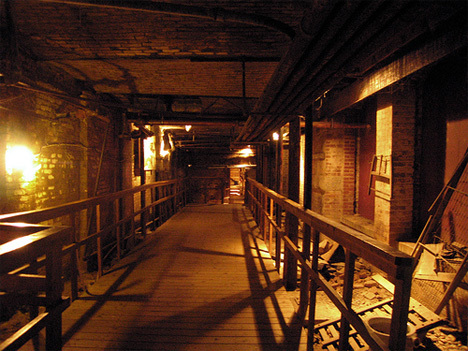 There are hundreds of these underground cities, some well-known commercial ventures and others little more than urban legends, in nearly every part of the world. 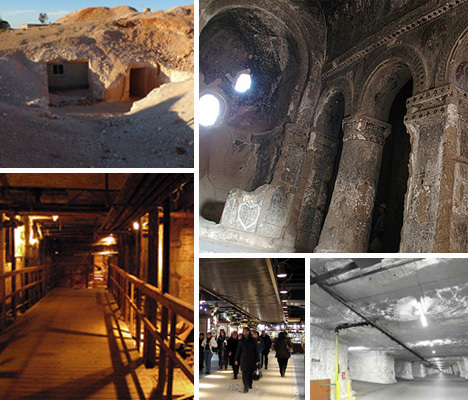 These are but a few of the fascinating subterranean cities and hidden underground spaces that dwell beneath our feet. 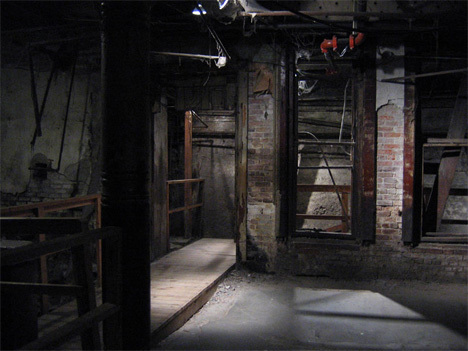 Seattle has a fascinating underground district that’s more well-known than most others. Pioneer Square was the birthplace of Seattle; the district was built on filled-in tidelands in the very early days of the city. After 25 city blocks were destroyed in the Great Seattle Fire of 1889, Seattle officials made two important decisions: all new buildings must be made of stone or brick, and the rebuilt area would be one to two stories higher than the original buildings. Building on top of the old district solved the problem of frequent flooding, but it created a bizarre downtown area where previously-ground-level windows were now basement windows and shoppers had to use ladders to go between levels of the downtown area. Eventually the rest of the area was built up enough that the subterranean passages lay unused; they were condemned due to plague fears in 1907 and then were all but forgotten. That is, until the 1960s when an effort was undertaken to turn Pioneer Square into a protected historic site. Today, only a small section of the Underground has been restored enough to be safe for public tours. PATH is not only well-known; it’s openly advertised as the largest underground shopping complex in the world. 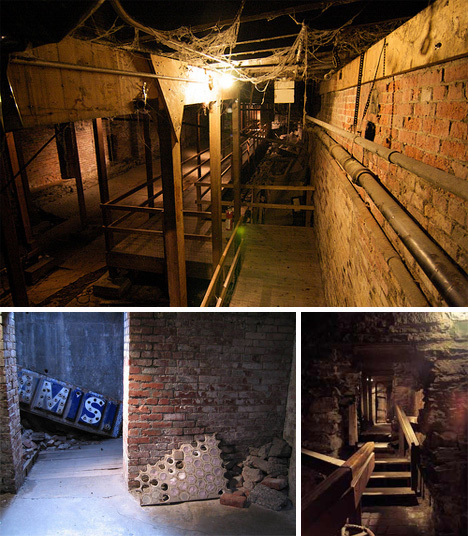 While Toronto’s subterranean passageways aren’t exactly hidden or mysterious, they are still quite interesting. 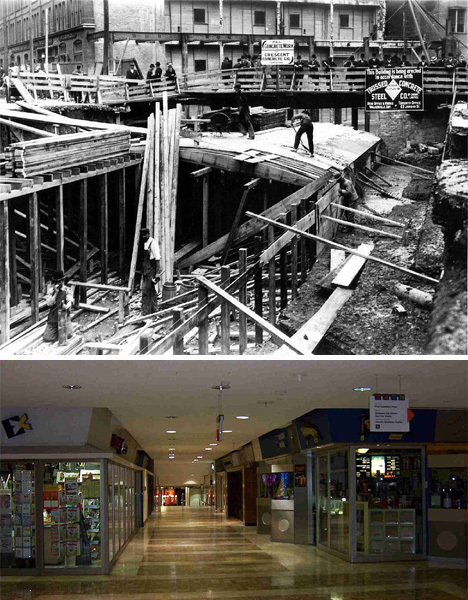 The origins of the network can be traced back to the early 20th century, when stores built simple underground passages to get shoppers from one location to another. Then, in the 1960s city planners decided to un-clog the crowded downtown sidewalks by moving shopping centers underground. The massive 17 mile network is almost like an entire city on its own with shopping facilities, restaurants, banks, entertainment and public transport all linked up. 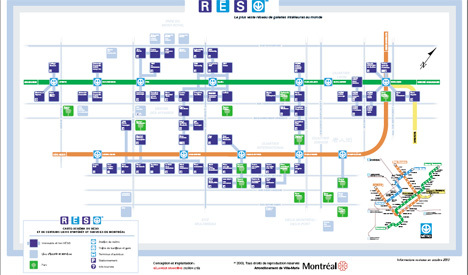 Montreal boasts its own substantial underground area known as RESO. 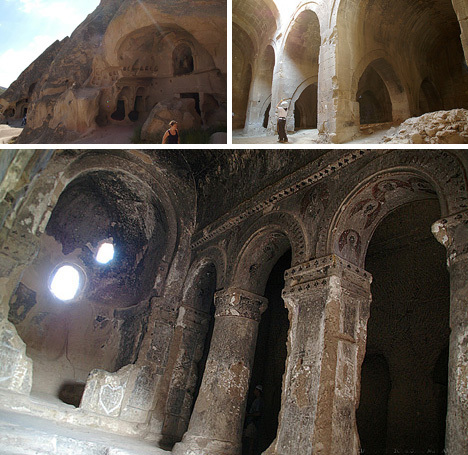 It is said to be the largest underground complex in the world at over 4.6 square miles. 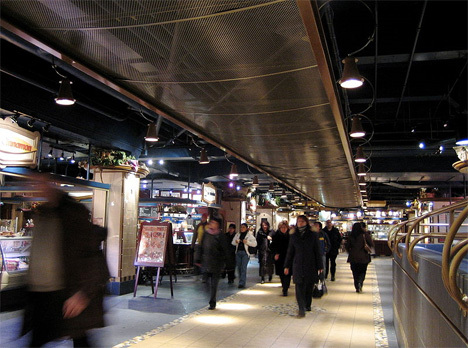 Taking shops and public transit link-ups underground helps to keep travelers out of the often-harsh Quebec weather, and the complex is also an important destination for many tourists. But permanent residents of the city tend to see the subterranean network as just another part of Montral. Another record-setting underground space is SubTropolis, a huge former limestone mine resting beneath the ground of Kansas City, Missouri. Occupying 55 million square feet, the man-made cave is what was left over after a 270-million-year-old limestone deposit was mined out of the area. The resulting space is climate-controlled, protected from the elements and stable enough that the USPS rents space there. With offices, storage and industrial outfits occupying the rental units, SubTropolis’ owners have trademarked the phrase World’s Largest Underground Business Complex. As kooky as underground businesses may sound at first, they’re onto something. By moving operations underground, businesses can save a huge amount on utility costs and cut down on their carbon footprints. This plan also allows cities to become more densely populated because valuable real estate is no longer occupied by business space. 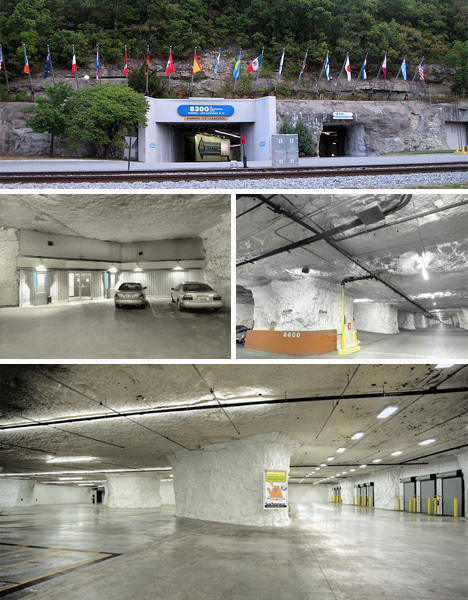 SubTropolis and other underground business complexes might just be the start of a new era of subterranean downtowns. It’s not always economics that drive a city to build underground. 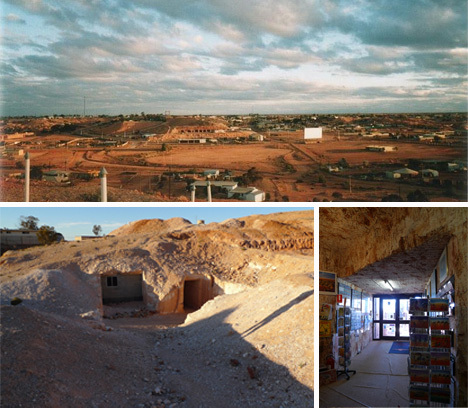 Coober Pedy residents choose to live underground to escape the brutal daytime desert heat of the world above ground. Most locals choose to live in “dugouts,” or underground homes literally dug out of the landscape with picks and shovels. Digging out an underground home in the town costs about the same as building an above-ground one, though since the town is known as the opal capital of the world there have been plenty of reports of diggers paying for the entire cost of their new home with opals they find during the digging process. 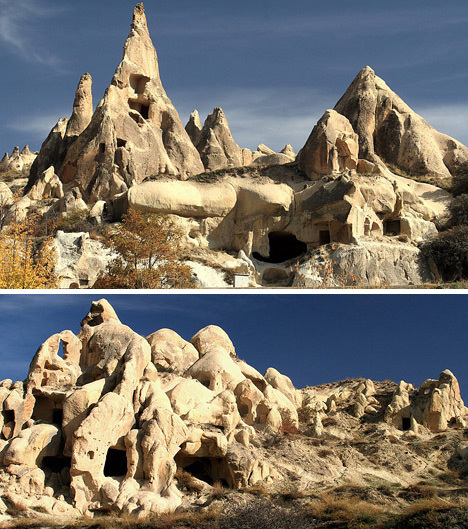 Like the residents of Coober Pedy, the people who settled what is now called Cappadocia, Turkey retreated underground due to the nature of the land. There was little to build with in the area, so residents simply carved homes out of the stone. The cave-like homes have existed for thousands of years and passed between many countries’ hands, but they have remained strong and sturdy. The area has become a very popular tourist attraction, with a large portion of the economy being based on visitors. The longevity of this fascinating city should be inspiring to modern-day city planners: the climate-controlled underground spaces require very little to remain comfortable and have been continuously occupied for longer than many other places on Earth.